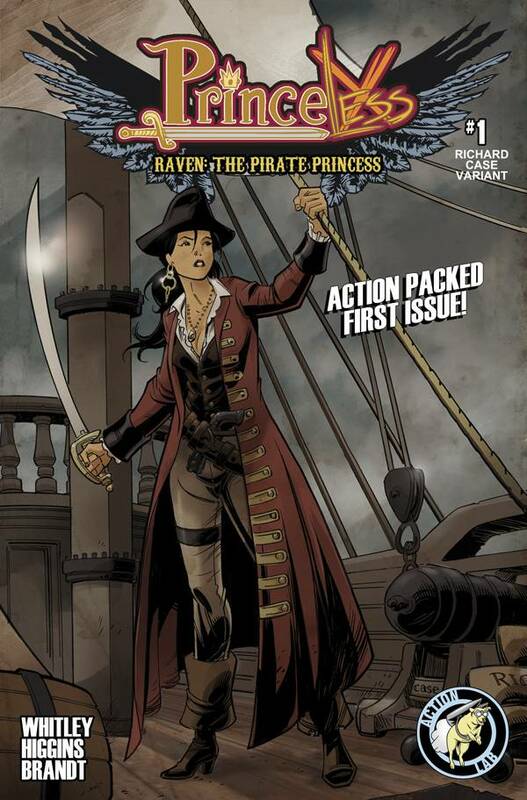 Action Lab has a lot of good stuff going on and it's possible that the publisher's popularity was launched largely on the back of Princeless. Thanks to the popularity of the book, the publisher is poised to launch a spinoff from that universe in Raven: The Pirate Princess. 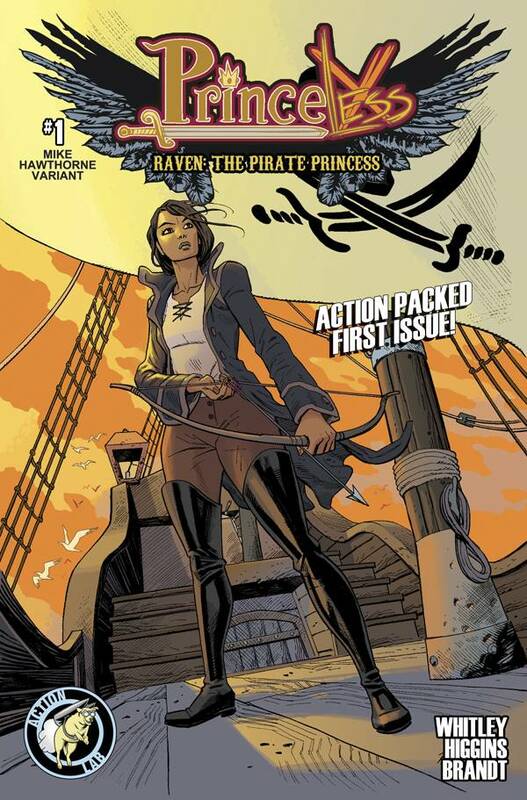 Debuting in July, Raven: The Pirate Princess follows Raven Xingtao, who is ready to set off on a quest for revenge against her brothers, who have stolen her inheritance. The comic has four covers: A standard cover by series artists, Rosy Higgins and Ted Brandt, and three variants by Katie Cook (Gronk), Richard Case (Books of Magic) and Mike Hawthorne (Deadpool). 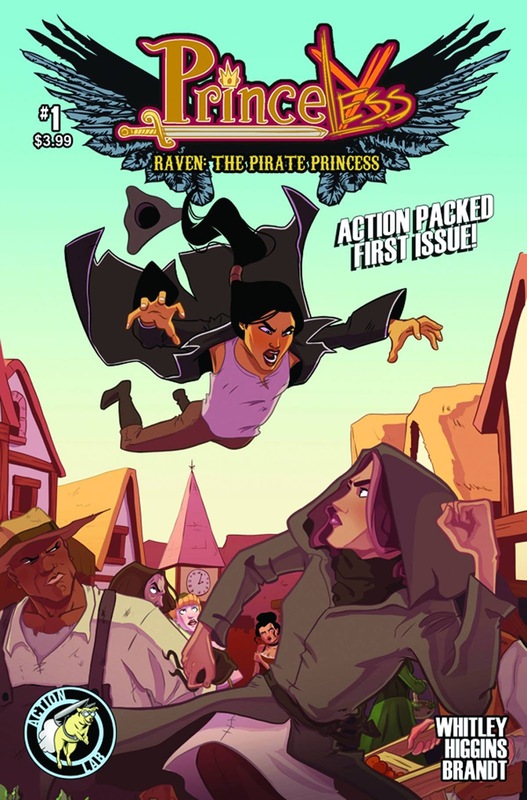 Pittsburgh, PA – Action Lab Entertainment is proud of it's record of diversity in comic book storytelling, with the title PRINCELESS being one of the keystones in the line. 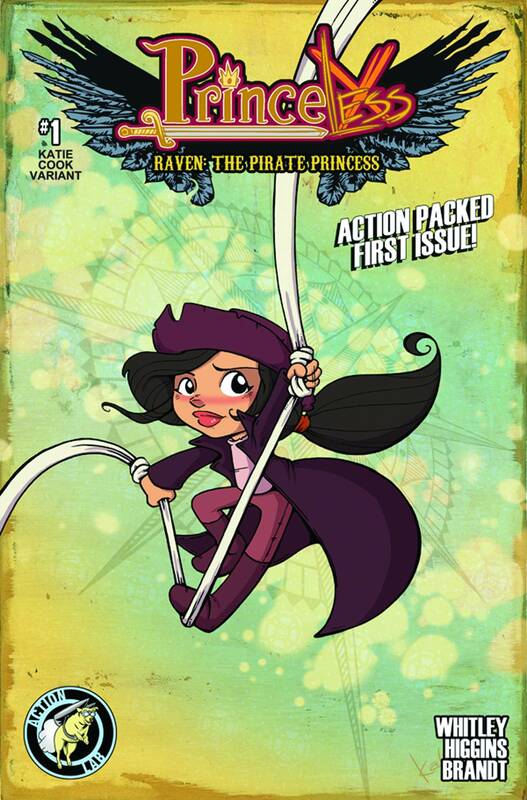 This month, fans of PRINCELESS may have noticed a new monthly series spinning out from it's pages: RAVEN, THE PIRATE PRINCESS! Debuting in July, PRINCELESS: RAVEN, THE PIRATE PRINCESS follows Raven Xingtao, who is ready to set off on a quest for revenge against her brothers, who have stolen her inheritance. The comic has four covers: A standard cover by series artists, Rosy Higgins and Ted Brandt, and three variants by Katie Cook (GRONK), Richard Case (Books of Magic) and Mike Hawthorne (Deadpool).